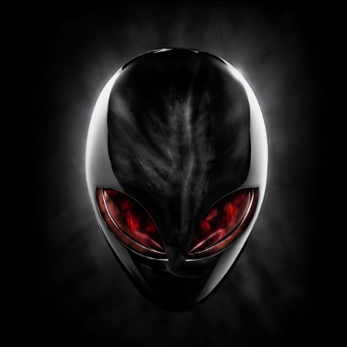 I have recently bought an Alienware x51 r3 second hand from a friend. I dont have the recovery disk, would it be safe to reformat to factory setting? Am i gonna lose any essential files such as the alienware app that was installed already? As I heard those app are needed to run the lights, and liquid cooling. Please advise. It also runs on windows 10 but its on spanish, I have changed it to english, but some stuff are still in spanish, such as the welcome screen, date still shows on spanish. If you have no recovery disk, you would have to make one from the installation that is now on your computer, right? I can assure that a clean Win 10 installation from your own recovery disk works. I did it myself, because I changed the SSD / HDD. You can always download any software for your System (like the Alienware Command Center, that's the one for the LEDs etc.) via the Dell hompage. Just go to the Download Center and enter your Service Tag Number (you should find it on a sticker somewhere on the back or the bottom of your system). It's not a bad idea for you to wipe that machine and start clean. It's not difficult to do if you are patient and careful. Your license key is associated to the machine in the BIOS and you will not need to enter one during Windows install. Windows will also activate automatically once you are back online. Before you begin, you will also want to download all of the Dell drivers and software for that machine to a separate USB stick. Just go to Dell's main support page and enter the machine's Service Tag. If you can't find the service tag, you can browse to your specific model laptop, but be aware that it will offer you drivers for hardware that you might not have that way. I would suggest going into your Device Manager and using that to determine exactly which hardware you have so that you download the correct drivers. Remember to back up any pictures/documents/etc. before you start. Just boot to the USB stick and do a Custom/Advanced install. When you are asked to choose where to install windows, you'll most likely see three or four partitions on the main hard drive. Delete all of them, and then select the empty drive and tell Windows to install there. That will allow Windows to partition the drive properly. Note if you have more than one hard drive installed, make sure you know which one is which before you delete anything! From this point on it's mostly automated. Once Windows is installed, install your Dell drivers and Software. Also make sure to run Windows update. Compare your Device Manager to the one before you started - is everything there? Are there any alert icons or Unknown Devices? Are all the Alienware "extras" working? Make sure you've installed all of the Alienware applications from the support page and that everything works - lights, etc. Don't spend time installing a bunch of apps and games until you are satisfied that the machine is configured completely and you are happy with it!